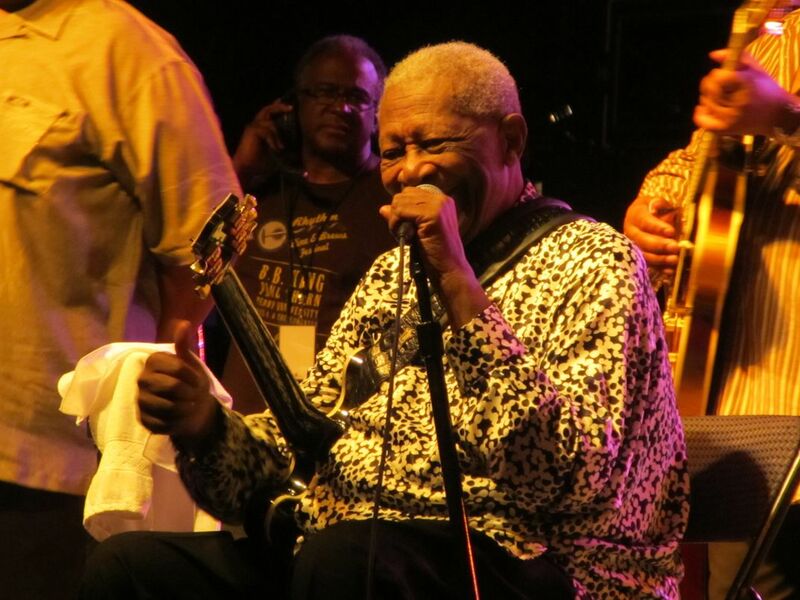 The late great King of Blues BB King performing at Pier Six Pavillion in Baltimore, MD. In this photo BB gives a thumbs up after receiving a roaring ovation when he asked the audience the rhetorical question "I am going to be 88 years of age next month, can you believe that?" Sadly the legendary guitar player passed away a little over a year later. Date Uploaded: Nov. 23, 2016, 10:26 p.m.